Take a Network Break! Microsoft announced a new virtual network tap for Azure at its Ignite conference, as well as integrations between Azure Virtual WAN and SD-WAN products from Riverbed and VMware. SolarWinds has filed with the SEC to back on the public market, and Cisco has successfully tested a 400GbE Nexus switch. Michael Dell talks up public cloud repatriation, HCI revenues explode in the second quarter of 2018, and Tungsten Fabric is officially admitted as a project to the Linux Foundation Networking group. 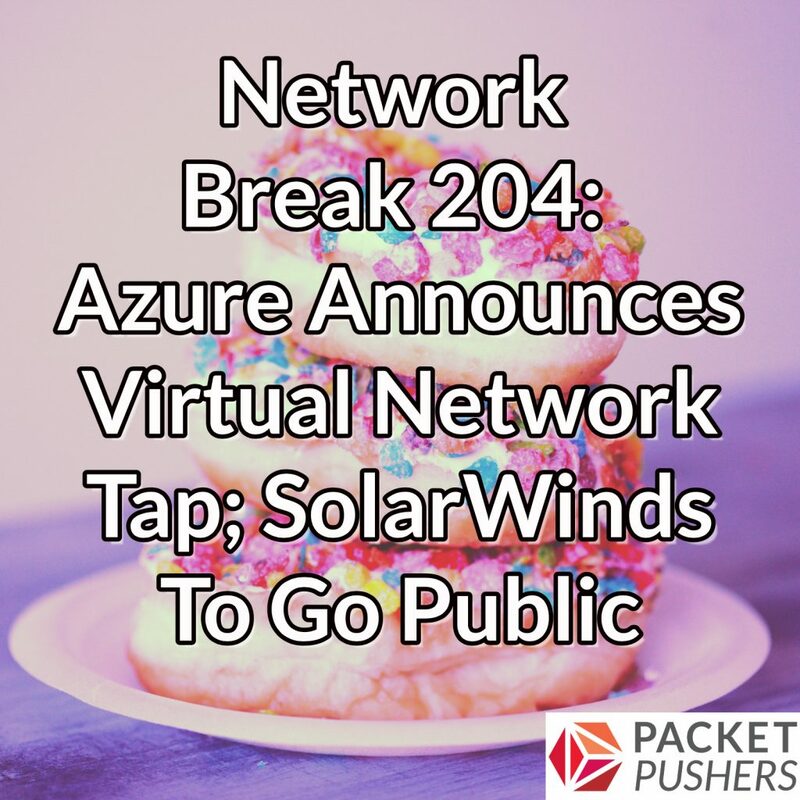 Barefoot Networks launches P4 Studio to bolster ASIC programming, Cisco reveals its latest security vulnerabilities, and Metallica drummer Lars Ulrich takes the stage at Dreamforce to talk up the benefits of Salesforce marketing tools.